The world has embraced robots; should the U.S. should follow suit? America has long been a forerunner in other revolutions — industrial, technological and digital. But, is the United States prepared for the robotic revolution? As other countries embark on initiatives to encourage the adoption of automated technologies, Ryan Gutherie, executive vice president of six-axis and SCARA robot supplier TM Robotics, investigates America’s relationship with robots. In 2016, the country began to climb the robot density ranks and today, the United States ranks seventh in the world, behind South Korea, Singapore, Germany, Japan, Sweden and Denmark. This figure has been significantly boosted by the necessary modernization of U.S. production facilities as well as a growing demand for products made in the United States. What’s more, robot sales in the country are expected to increase by at least 15 per cent per year between now and 2020. Put simply, the market is showing no signs of slowing down. Despite the rapid uptake in automation, though, more than 70 per cent of American’s still express wariness and concern about the rise of robots in our workplaces, according to Pew Research. Perhaps they read the report by the McKinsey Global Institute stating that 73 million U.S. jobs could be under threat of automation by 2030. This sounds threatening, but is the robot revolution really such a bad thing? Arguably not. Consider this as an example. A manufacturer that saves money on labor by using automation has two options. 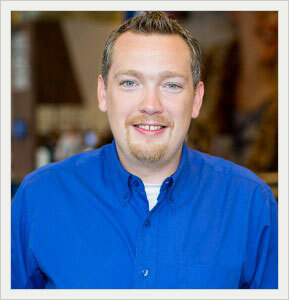 Lower product prices or generate more profit. Both outcomes can result in increased investment, higher demand and, in turn, more opportunity for employment. This isn’t just theoretical. Across the pond in Europe, the SPARC research project is a partnership scheme set to increase Europe’s robotics adoptions. It’s estimated to create 240,000 new jobs on the continent as a result of implementing and maintaining automated processes. Amazon also provides a U.S. example of this phenomenon — albeit in warehousing, rather than manufacturing. Over a three-year period, the company increased the number of robots in its storerooms from 1,400 to a colossal 45,000. During the same period, the rate at which the company hires workers did not slow down or reduce, as the company’s capacity has also increased due to automation. America didn’t shy away from spearheading the industrial, technological, and digital revolutions. As a nation, we cannot ignore the growing implications of failing to adopt today’s robotics and automated technologies. 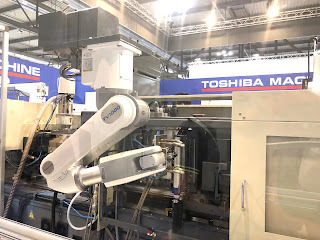 As a distributor of six-axis, Cartesian and SCARA robots from Toshiba Machine, TM Robotics has a vested interest in improving America’s perception of automation. Regardless, rather than fearing the rise of the robot, the United States needs to further embrace the technology or risk getting left behind in the global manufacturing race. Established in 1986, Merritt Engineering Consultants specializes in building restoration and structural design and has experience in façade restorations, roofing and waterproofing, historic/landmark preservation, design/rehabilitations, and construction administration. 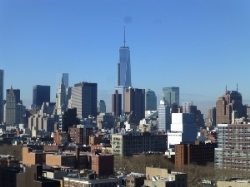 Based in Bayside, NY, they handle properties throughout the United States including commercial, residential, healthcare, government, and educational facilities. Below are two articles from their latest newsletter, which they dub the Latest News in Building Restoration. When it comes to restoring your building, the road to cost savings may be different than you think. Building Owners and Property Managers have one thing in common with all consumers – when purchasing a product or service, they want to get the most value out of their investment. For this reason, it’s important to strategically plan when necessary repair work on your building is conducted. Say for example, you are resorting your building’s facade. To save on costs, you may opt to only do the bare minimum, patching over cracks or addressing only those items listed in your Facade Inspection & Safety Program (FISP) report. While this approach may seem most economical, an important factor often overlooked is the fact that the cost for things like scaffolds and sidewalk bridges must be absorbed by the building owner and shareholders, regardless of how much work they opt to do. Therefore, when a board or owner tries to save money by spreading necessary repair work over several years or stages, the costs of reinstalling scaffolds, sidewalk bridges, and filing for permits year after year can really add up – making it much more costly in the end. For that reason, it is best to conduct as much of the necessary maintenance work as possible while the scaffolds and sidewalk sheds are already in place. 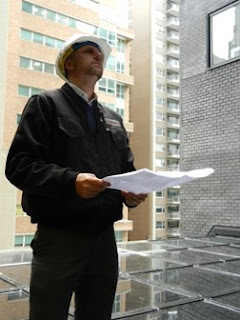 In a previous issue, we touched upon the importance of completing your building's 40-Year Recertification inspection, and now we’re back to address specific filing questions. Q: Who can perform the mandatory inspection and then file the form? A: A Florida Registered Architect or Engineer. Q: Which building components are the qualified professionals looking at? A: Building Envelope and Structural elements as well electrical building systems. Q: What are the possible classifications? A: Either "Repairs Required", or "Safe, if no deficiencies are found. Q: How often does an Owner have to file? A: You have 180 days to address the deficiencies noted or, if classified as "Safe", the next inspection is due in 10 years. If you would like to request a proposal, please contact the Florida team at (954) 961-0009. DENSO, a large automotive supplier of technology and components, constantly searches for ways to increase young people’s access to technical education and help develop tomorrow’s workforce. Aiding this effort, the company’s philanthropic arm – DENSO North America Foundation (DNAF) – has announced it will donate nearly $1 million in overall funding to 25 institutions of higher learning across North America to support science, technology, engineering, and math (STEM) educational programming. These grants help achieve DENSO’s goal of exposing students to the rewarding careers available in manufacturing and advance the industry forward by enhancing programs that will produce the next wave of highly-skilled problemsolvers. DNAF has supported STEM education through grants at colleges and universities since 2001, enabling students to access tools, technology, and experiences that better prepare them for technical careers after graduation. DENSO education grant proposals are invite only and evaluated based on technical merit, student experience, and alignment with industry needs. DENSO is a global supplier of advanced technology, systems, and components in the areas of thermal, powertrain control, electronics and information, and safety. With its North American headquarters located in Southfield, Michigan, DENSO employs more than 23,000 people at 28 consolidated subsidiaries and 4 affiliates across North American. Of these, 25 are manufacturing facilities located in the United States, Canada, and Mexico. In the United States alone, DENSO employs more than 17,000 people in Alabama, Arkansas, California, Iowa, Georgia, Kentucky, Michigan, North Carolina, Ohio, Pennsylvania, South Carolina, Tennessee, and Texas. Headquartered in Kariya, Aichi prefecture, Japan, DENSO Corp., has more than 220 subsidiaries in 35 countries and regions (including Japan) and employs approximately 170,000 people worldwide. Last fiscal year, DENSO spent 8.8 percent of its global consolidated sales on research and development. For more information, go to www.denso.com or connect with DENSO on Facebook at www.facebook.com/DENSOinNorthAmerica. The American Council of Engineering Companies of Massachusetts (ACEC/MA) has named engineering firm Tata & Howard as a winner of a 2018 Silver Engineering Excellence Awards for its engineering services on the Long Pond Water Treatment Plant in Falmouth, MA. Headquartered in Marlborough, MA, Tata & Howard also has offices in Lakeville, MA; Concord, NH; Portland, ME; St. Johnsbury, VT; and Flagstaff, AZ and specializes in water, wastewater, stormwater, and environmental services. 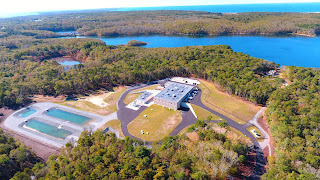 The firm was retained by the Town of Falmouth to provide lead engineering services for the design and construction administration of the new 8.4 million gallon per day Long Pond Water Treatment Plant (WTP) in Falmouth. The new WTP, which replaces an 1890s-era facility that operated under a filtration waiver, provides the town with the ability to meet current regulatory requirements and remove pathogens, taste, odor, organic matter, and algae/algal toxins; produce stable water quality; and provide flexibility to meet uncertain future regulatory and water quality challenges.